Professor Tom Calma AO, NATSISS Ambassador and Co-Chair of the Australian Literacy and Numeracy Foundation, said investment in culture biased early years education is critically important. ” The Healing Foundation is calling for a national Intergenerational Trauma Plan of Action to underpin all future programs addressing social and emotional wellbeing in Aboriginal and Torres Strait Islander communities. August 4 is National Aboriginal and Torres Strait Islander Children’s Day – a day dedicated to celebrating and learning about the importance of community, culture and family in the life of Aboriginal and Torres Strait Islander children. Cultural activities are popular among Aboriginal and Torres Strait Islander children, according to data released by the Australian Bureau of Statistics (ABS) to mark National Aboriginal and Torres Strait Islander Children’s Day. “Participating in cultural activities is one of the many ways Aboriginal and Torres Strait Islander children learn about culture,” said Debbie Goodwin, Director of the ABS’ Centre of Excellence for Aboriginal and Torres Strait Islander Statistics and Community Engagement. The 2014-15 NATSISS also showed the importance of family members and in the learning and teaching of cultural activities. Of the children aged 3-14 years who participated in selected cultural activities, the majority (84 per cent) were taught these activities by an immediate family member or relative and/or at school (31 per cent). Ms Goodwin said the survey showed that an important part of building connections to community, culture and family for Aboriginal and Torres Strait Islander children was spending time with community leaders and Elders. “In 2014-15, just over a quarter (28 per cent) of Aboriginal and Torres Strait Islander children (aged 3-14 years) spent at least one day a week with leaders or Elders in their community,” said Ms Goodwin. This was higher in remote areas (50 per cent) than non-remote areas (23 per cent). The Healing Foundation is calling for greater understanding of Intergenerational Trauma to improve the lives of Aboriginal and Torres Strait Islander young people, their families and communities. On Aboriginal and Torres Strait Islander Children’s Day, Professor Steve Larkin, Chair of The Healing Foundation, said Australia is still grappling with the best way to deal with Intergenerational Trauma. “Understanding Intergenerational Trauma is the key to meaningful change including addressing high numbers of children and young people entering the protection and justice systems, suicide, domestic violence and substance abuse,” said Professor Larkin. 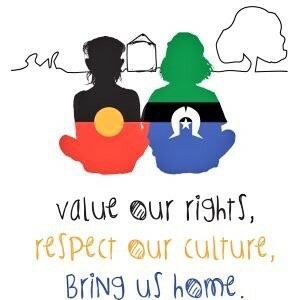 The 2017 theme for Children’s Day is Value Our Rights, Respect Our Culture, Bring Us Home, recognising this year’s 20th anniversary of the Bringing them Home report, examining the Stolen Generations. “It’s time we took a holistic and long term approach to dealing with the issues left behind by that tragic part of our nation’s history,” said Professor Larkin. The Healing Foundation is calling for a national Intergenerational Trauma Plan of Action to underpin all future programs addressing social and emotional wellbeing in Aboriginal and Torres Strait Islander communities. A Plan of Action would assist in building strong families, building strong and proud identities and investing in young people as future leaders. “I think every Australian is concerned about the record number of Aboriginal and Torres Strait Islander children being taken from their families and culture to be placed in out-of-home care or entering the juvenile justice system. Professor Larkin said research shows that children are coming to the attention of the protection system because of their increased vulnerability, pointing to a West Australian health survey that found one in five children were living in families where seven to 14 major life stress events had occurred in a period of 12 months. “This level of dysfunction is structural and entrenched, and at its heart, is generation upon generation of unresolved trauma, caused by two centuries of mistreatment and dislocation,” said Professor Larkin.